One of France’s most prolific writers for stage and screen, Sacha Guitry, who died 60 years ago, is remembered in a new play that opened in London this week. Sacha Guitry, Ma Fille Et Moi (Sacha Guitry, My Daughter and I), co-devised by Edith Vernes and Marianne Badrichani, will be performed in French with English surtitles. Guitry was pre-eminent as an actor, writer and director on stage and screen in the 1920s and 1930s, churning out a succession of plays, from boulevard comedies to historical dramas, and more than 80 screenplays in which he often played the lead. 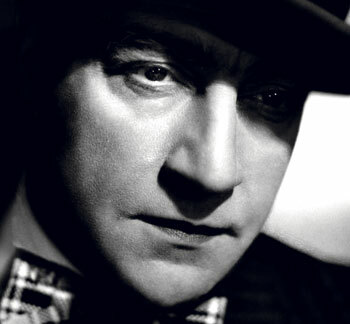 For his versatility and wit, Guitry earned the nickname ‘the Gallic Noel Coward’. With his actor wife Yvonne Printemps and his veteran performer father Lucien, Guitry came to the Aldwych Theatre for a four-week season in 1920. They were often invited back to the West End, including once in 1926 when Guitry and Printemps transferred a pastiche musical about Mozart from Paris, with Printemps as the young composer and Guitry as his mentor, Baron von Grimm. 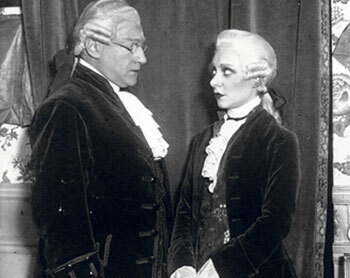 John Gielgud, who saw it, described how Printemps was “ravishingly touching in her powdered wig, black knee breeches and buckled shoes, while Sacha hovered over her with avuncular authority, not attempting to sing himself but contributing a kind of flowing, rhythmic accompaniment with his speeches, delivered in a deep, caressing voice”. Despite his enduring popularity in France, Guitry never enjoyed lasting success on this side of the Channel. So why do Badrichani and Vernes think this is the right time to bring the man and his work to the attention of a London audience? After reading his plays, they came up with a blend of fact and fiction. An established actor, played by Vernes, reflects on her love-hate relationship with Guitry, both personal and professional, in an extended conversation with her daughter, herself an aspiring actor. French-born Badrichani has lived in London for 20 years, having trained as an actor at Central School of Speech and Drama and later with Katie Mitchell at the National Theatre Studio. She has since branched out into site-specific work with her own company, including a daring promenade production of Charles Perrault’s Bluebeard among the picturesque Victorian tombstones and family vaults of Brompton Cemetery in 2009. Though Badrichani has often transferred work to France, most of her productions start off in London, as she prefers the UK’s modus operandi to that of her native country. “In France, the subsidised sector tends to do the more risky, experimental stuff and the commercial theatre does the popular stuff, with star actors. In the UK the boundaries between subsidised and commercial theatre are more blurred, there is more crossover. 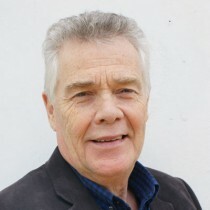 Will the Guitry show have a life beyond its three-week run at the Drayton Arms Theatre? Badrichani’s future plans include an adaptation of The Cherry Orchard set in Nigeria, and a screenplay about Brexit.